The US Corn Belt—a sea of corn and soy covering much of the Midwest—is one of the most intensively managed and ecologically disturbed regions of the country, and a primary source of pollution into the Mississippi River and the Gulf of Mexico. Most of the corn is not grown for human consumption, but is instead used to make ethanol for gasoline or sold to industrial feedlots. We could resolve many of the ecological problems associated with Corn Belt agriculture by converting cornfields to native perennial vegetation, such as switchgrass fields or restored prairie. These native plants can be harvested to make ethanol, but unlike cornfields they also serve as wildlife habitat, reduce water pollution, and slow climate change by taking carbon from the atmosphere. Using long-term landscape experiments managed by the Great Lakes Bioenergy Research Center at the Kellogg Biological Station in southwest Michigan, I compare the ecosystem services of native biofuels versus Corn Belt agriculture. Using a combination of insect surveys, sentinel prey experiments, and stable isotope analysis, I test whether native biofuels 1) contain more diverse and abundant communities of ants and other insects, 2) provide higher rates of natural pest control, and 3) extend food chain length and diversify food webs. Ants are one of earth’s predominant groups of land animals, but we usually witness only one part of their life cycle. We tend to view ants as colonies of wingless workers on the ground, but most species pass through a phase of life where they live alone, have wings, and fly through the atmosphere. These are the reproductive ants—the males and queens—that leave their birth nests to find mates and found new colonies. 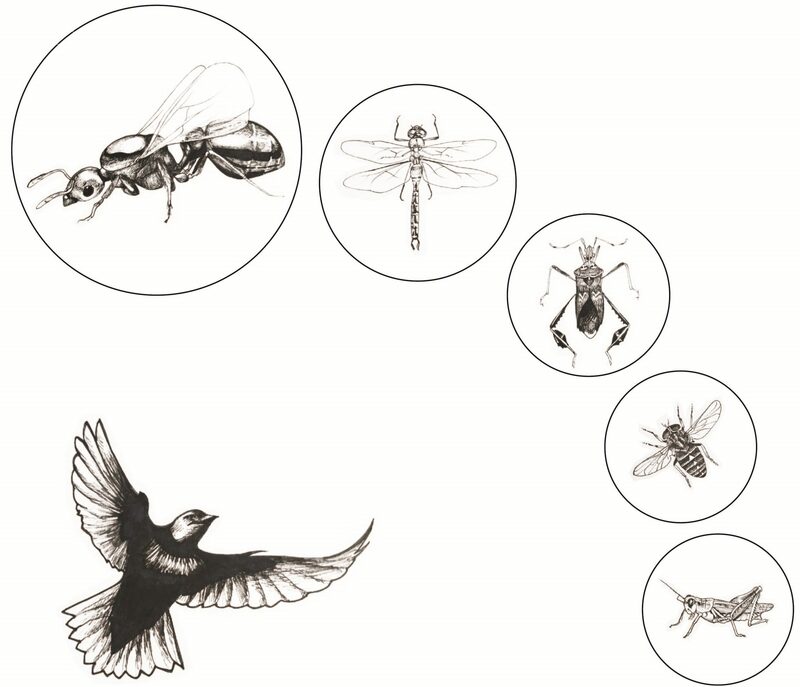 Flight is the deadliest part of the life cycle, and the coupling of reproduction with high mortality leads to strong flight-related selection. Dispersal, reproduction, and life history are thus fundamentally linked in ants. I study how these linkages lead to dispersal-reproduction tradeoffs, limit the spread of invasive ants, and drive the evolution of social parasitism and other alternate reproductive strategies. Traditional landscapes around the globe are rapidly being eroded by unrestrained consumption and globalization, causing both the erasure of native peoples and the loss of biodiversity. In most places, responsible biodiversity conservation goes hand in hand with respect and empowerment of indigenous cultures. Throughout my work I strive to link research with conservation, and increasingly work in concert with indigenous communities to protect landscapes. In Guyana’s South Rupununi Savanna, for example, I collaborated with NGOs and members of the Wapichan Community to survey biodiversity on traditional lands, document cultural and subsistence use of natural resources, and advocate for community empowerment and nature conservation. In Indonesian Borneo, I likewise worked with a local planetary health NGO that merged social and environmental approaches to conservation. By providing healthcare, economic assistance, and education to Dayak and Malayu communities, recognizing their traditional ways of life, and empowering them to conduct reforestation and monitor deforestation on their lands, we worked to eliminate forest loss in protected areas. In the process we mapped historical forest degradation and recovery, documented native ant diversity of working landscapes, and found that even small community reforestation projects can have large and immediate benefits for orangutans and other wildlife.